Sydney and I are blessed with a plethora of readers, some who have enjoyed sharing family stories, and treasured family recipes. 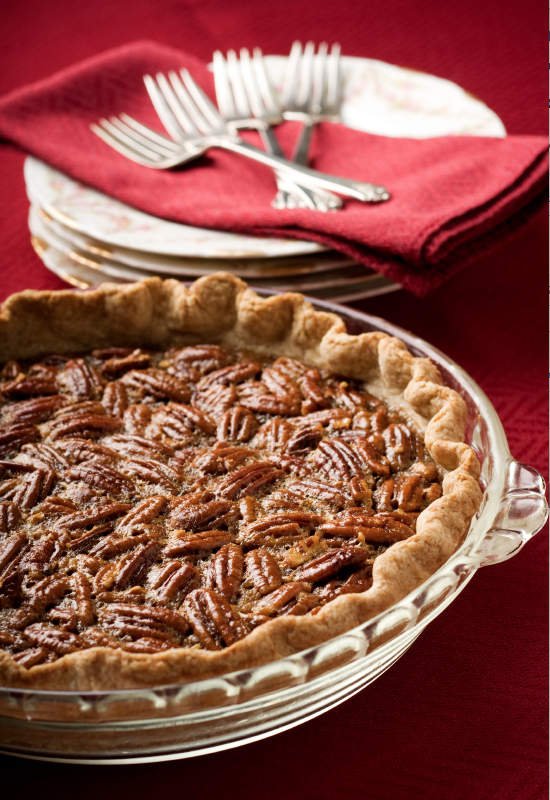 A week or so ago a regular reader, Carolyn K surprised us with her family’s traditional pecan pie. 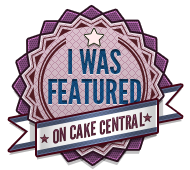 Carolyn wrote how once a year she throws cation and self-control to the wind, and indulges in baking her family’s traditional pecan pie recipe. Even the years she is unable to go home for the holidays she bakes this timeless traditional pie. The aroma as the pie bakes in her oven brings her heart and soul back to Christmases past: standing on a stool helping her mother and grandmother in the kitchen as they stir the mixture on the stove, rolling out the crust, chopping the pecans, all while talking and laughing together. Words can not express the joy both Sydney and i felt as we read Carolyn’s e-mail. We welcome your stories, memories, and thoughts; I cannot promise I will post all the emails we receive of people sharing their traditions, but we are grateful to hear from you. Blind bake the Flaky Pie Crust. In a medium sauce combine maple syrup, corn syrup and brown sugar stir to mix. Place over low heat and bring to a boil, without stirring. Remove from heat, add butter and allow butter to melt. In a mixing bowl, whisk eggs salt, vanilla extract, and Kahlua/burbon. Temper the maple syrup and butter mixture into the egg mixture, being careful not to over mix. Allow to cool and preheat the oven to 180 degrees C/ 30 degrees F.
Arrange the pecan, topsides up, on the bottom of the flaky crust. 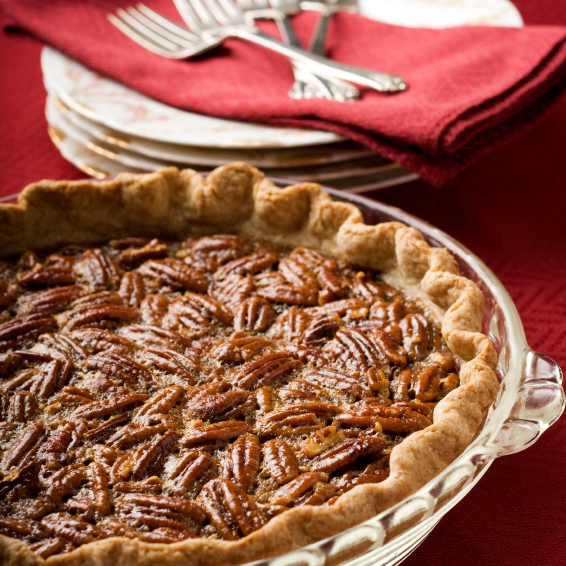 Pour the filling slowly over the pecans, place foil around the rim of pie and bake for about 20 to 25 minutes; or until the pie is golden and begins to bubble around the edges. Cool completely on a cooling rack prior to serving.